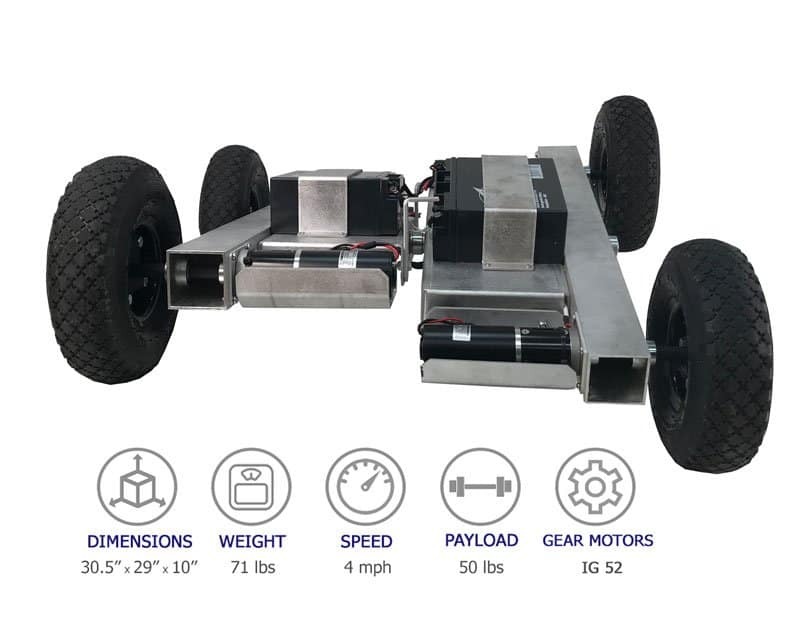 SuperDroid Robots latest innovation is a pivoting chassis that allows the left and right sides of the robot to move independently as the robot maneuvers over obstacles and uneven terrain. The IG52 Center Pivot Robot is a custom robot build using a unique center pivot chassis. The robot is equipped with IG-52 136 RPM gear motors, Sabertooth Dual 25A Motor Driver, and 10″ tires. The robot can support up to 50 pounds payload that is distributed evenly. 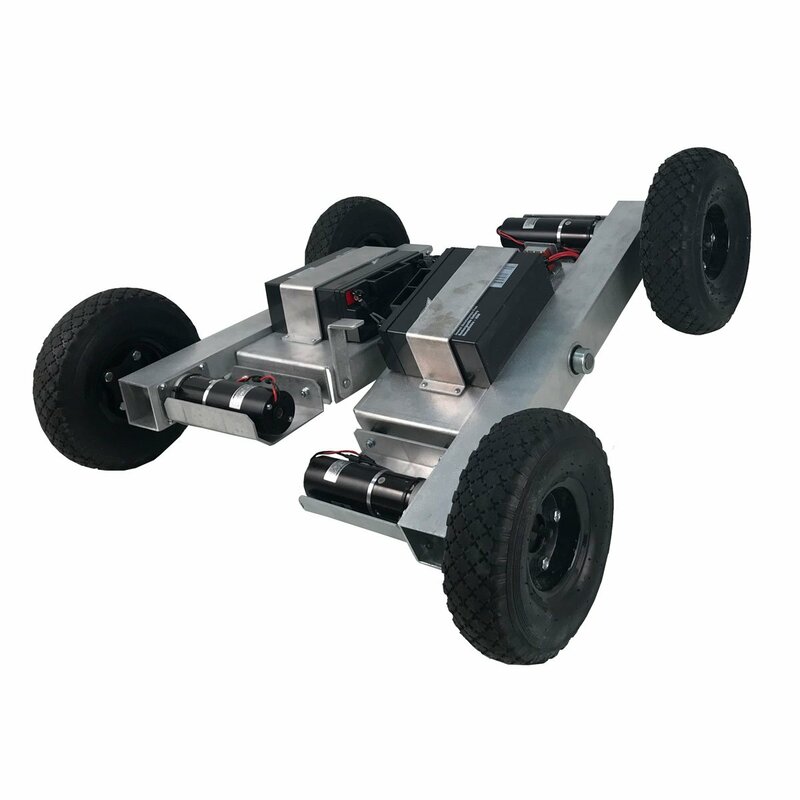 Find out more about SuperDroid Robots 4WD ATR’s.